We've been ENJOYING Twin Peaks The Return FOR A few months now and this Sunday, September 3rd, it will all come to an end. 25 years later we have been taken on an even weirder adventure than the first time. But one thing remains the same: the Double RR Cafe has damn fine cherry pie! Our South Lamar shop is open on Sunday from 11am - 6pm and we'll be stocked with our delicious cherry Tiny Pies until they sell out! 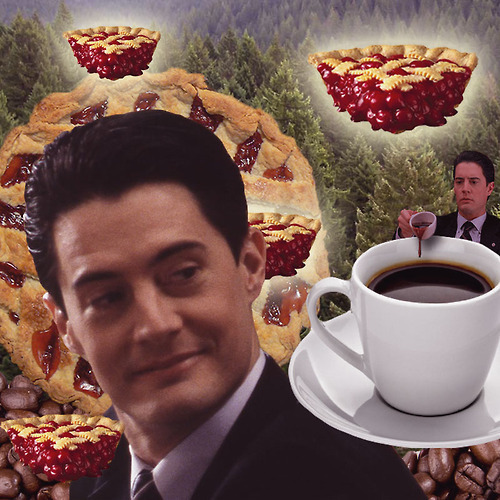 Bid Agent Cooper, Nadine, Dr. Amp, Hawk and everyone from Twin Peaks adieu with a cherry pie goodbye! Even Coop agrees Tiny Pies are the best!